Considering the frenzied rush around the NES Classic’s launch in November of 2016 and the steep prices demanded by resellers on eBay, I never thought I would actually end up owning the miniature console where so many of my favorite game series were first introduced. Demand was so high when it first released that I never even saw a single unit on store shelves. Last year, I was able to find a SNES Classic on launch day, thanks to a 5:30am alarm before work. 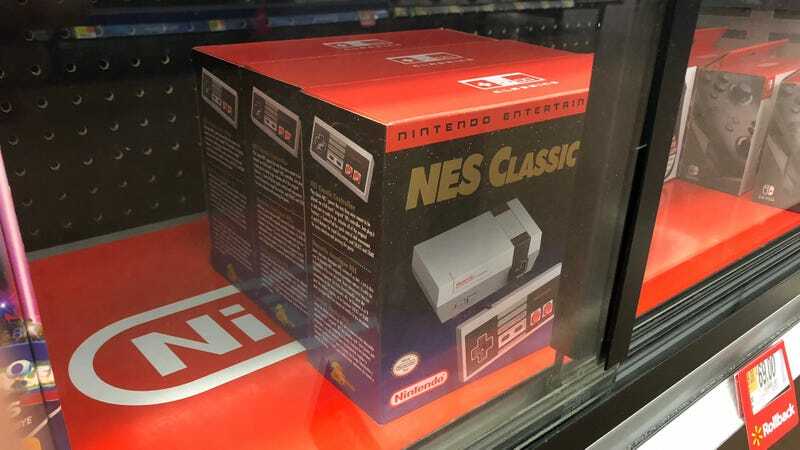 Once I got my hands on the SNES Classic, I forgot all about the little NES until this summer when Nintendo decided to re-release it. Apparently supply has finally outpaced demand, because I have begun to notice them on the shelves at a few local stores. Naturally, I couldn’t resist the opportunity to finally buy one and revisit so many classics from my childhood. Speaking of which, let me tell you a little bit about my history with the NES. By the time I was old enough to actually comprehend video games, the NES had been around for about seven years. In those days, I always remember playing the NES at friends’ houses who had older siblings. One of these friends lived next door, so I spent most of my free time at his house. We couldn’t get enough of trying to go fast enough to make the bike warp through the top of the screen in Excitebike or finally making it past all of the cannonballs in the airship fortress in Mario 3. Another memory that sticks out to me from playing NES games as a kid is how difficult many of them were. I would end up playing most games for about fifteen minutes until I lost all of my lives and had to start over from the beginning. Then it was time to pass the controller to my friend or play a different game. Maybe I just wasn’t a very determined kid, but I didn’t actually finish Super Mario Bros. or The Legend of Zelda until I was in college. I knew it was possible to finish the games because my friend and I would often watch his oldest brother play through Mario and Megaman, amazed at how far into the levels he could get. Seeing him use a warp whistle to skip entire worlds or defeat a new robot master that we had never even seen before was so fascinating. That’s what made the NES so special to me as a kid - it had so many games that I played countless times and thought I had seen all they had to offer, but there was almost always something else hidden away, just waiting to be discovered.